COOPERSTOWN - Gail Marie Wells, a much-loved daughter, mother and sister, passed away peacefully Saturday evening, February 15, 2014, at Otsego Manor, surrounded by her family. She was 58. Born January 13, 1956, in Englewood, New Jersey, she was a daughter of Richard and Dorothy Marie (Romaine) Roediger. At an early age, Gail and her family moved from Hackensack, New Jersey to Warwick, New York. In the early 1970s they moved to the Town of Exeter, and in 1974 she graduated from Mt. Markham Central School in West Winfield. She then married and raised a family in Laurens, and in the 1980s she moved to Bainbridge. Gail could strike up a conversation with anyone, made friends easily and would do anything for them. She enjoyed being outdoors, camping, swimming, boating and loved riding her motorcycles. She prided herself on canning home-grown vegetables and serving healthy food to her family. She worked for many years as a waitress, including at Ruffino's in Oneonta, the Starbuck Diner in Deposit, the Afton Café, and Rosa's in Bainbridge. In 1996 she completed coursework at Chenango Memorial Hospital and became a Certified Nursing Assistant. Until 2005 she worked as a CNA for the United Methodist Homes, where she provided skilled care and comfort to many residents. Gail is survived by her parents, Dorothy and Richard Roediger of Spring Hill, Florida; a devoted sister, Diane Wells, and her partner, Rob Fiorentino, of Springfield Center; two sons, Nathan and his wife, Viki Wells, of Endicott and Brian and his wife, Mandie Wells, of Sidney; two daughters, Sarah Wells and partner, Jared Carlton, and Denise Malyana, both of Daytona Beach, Florida; and seven grandchildren, Kazmira Marie Wells, Brian Wells, Jr., Amir Malyana, Sami Malyana, Kaylei Brown, Rena Gail Carlton, and Dennis Carlton. She is also survived by a nephew and niece, David Wells, Jr., and partner Amy Wells, of West Winfield, and Amber and her husband, Jaret Lange, of West Sand Lake, and their children, Mia and Sierra; and many other special nieces and nephews from her extended family. Family and friends may call at the Connell, Dow & Deysenroth Funeral Home, 82 Chestnut Street, Cooperstown, from 1-3 pm. on Sunday, March 2, 2014. A Celebration of Gail's life will be held at Templeton Hall, 63 Pioneer Street, Cooperstown, from 3:15-5:15 p.m., on Sunday, March 2, 2014. Donations in Gail's memory can be made to The Alzheimer's Family Support Program, 35 Hackett Boulevard, MC65, Albany, NY 12208. A special thank you to Dr. Gregory Cummings at Bassett Medical Center, Dr. Dzintra Celmins at the Neurosciences Institute, Department of Neurology at Albany Medical Center, and to Beth Smith-Boivin at The NENY Alzheimer's Association. In a final act of helping others, Gail and her family made arrangements for her brain donation to the Alzheimer's Center at Albany Medical Center. A heartfelt thank you to the staff at Serenity Place at Otsego Manor for their skillful and loving care, and to the staff at Catskill Area Hospice. MIDDLEFIELD - Rodney E. Johnson died at his Middlefield home on February 14, 2014. He was born on November 6, 1928 in Fulton, New York, the eldest of two sons of Erwin R. Johnson and Kittie Ferguson Johnson. Mr. Johnson graduated from Fulton High School in 1947 before going on to graduate from State University College at Oswego, and later, doing graduate work at Oswego, Oneonta, Saint Rose, Albany and Boston University. After Rod married his high school sweetheart, Elizabeth Jeanne Walker, they moved to the old Sutton Farmhouse at Sutton's Corners in Oswego County. They restored the house in the 1950s, naming it Mulberry Hill. For a short time, he was curator of Fort Ontario and they lived in the former lighthouse keeper's cottage across from the fort. In 1963, they relocated to the hamlet of Middlefield, near Cooperstown. The couple worked to preserve and restore several early Middlefield buildings, most importantly, their 18th century home, the Joshua Pinney Tavern, well-known for its beautiful wall murals featured in several authoritative books on this topic. During the span of his twenty year teaching career he taught History, English and Special Education. He is fondly remembered by many former students who were inspired by his high standards. He was ordained in the United Methodist Church in 1969. For thirty-seven years, he pastored United Methodist churches which included McDonough, Preston, Willet, West Davenport, Davenport, Emmons and Cooperstown Junction. For several years, he held vespers for the scouts at Crumhorn Mountain Boy Scout Camp. In 1981, following their passion for preservation, the Johnsons opened Leatherstocking Realty, which specialized in the pairing of historic houses with enthusiastic preservationists. Mr. Johnson was a past president of Otsego-Delaware Board of Realtors, twice served as chair for the Otsego-Delaware Multiple Listing service, and was once Director of the Real Estate Board as well. As President of the Town of Middlefield Historical Association for five years, he was instrumental in securing the Middlefield District Number One Schoolhouse to use as the organization’s headquarters. In keeping with his interests in preservation, Rod helped create the Middlefield Zoning Board of Appeals, resulting in the current zoning laws that have helped preserve the heritage of the community at large. He was a Master Mason and member of Otsego Lodge No. 138, Free & Accepted Masons. It should be noted that the third floor of the Pinney Tavern was well documented as an early meeting hall for the Masonic Brothers, known as The Widow’s Son Lodge No. 391, chartered in 1824. The Johnsons, along with a small group of residents, worked tirelessly to have the hamlet of Middlefield designated an Historic District on the State and National Registries; they were successful in this endeavor in the mid 1980's. For many years, people enjoyed visiting with Rod and Jeanne at their antique store, The Village Peddler, where they shared their love of antiques and their vast knowledge of local history with store visitors. This early building, at the crossroads of Middlefield, had been slated for demolition before Rod and Jeanne took on the mammoth restoration project to preserve the Middlefield landmark as it stands today. Rod was predeceased by a son, Kevin Johnson, his brother, Roy Johnson, and his beloved wife, Elizabeth Jeanne. Surviving are his daughter, Karen Rury (Edward) and their children, Sarah, Jessica (Jason) and Jonathan (Maura) ; his daughter, Kittie Johnson (Mr. Blair Campbell) ; his son Mark Johnson (Gina) and children Matthew Carr (Heather), Benjamin and Samuel; his son, Seth Johnson (Doreen) and their children, Jessica, Scott (Amanda) and Weston. He is survived by a great-granddaughter, Cameran Flint and five great-grandsons, Elliot and Aidan Rury; Nathan Rury; and Gabriel and Logan Johnson. Rod was a person who possessed many fine qualities. He was loved dearly by his family and friends. He was versatile and talented, whether building stone walls, tending his honey bees or playing checkers with his grandson ... all the time running on High Octane Coffee! Contributions may be made to The Middlefield First Responders in recognition of the compassionate help Rod and his family received over the past several years. Donations may be mailed in care of Doug Roberts, 208 County Highway 43, Schenevus, NY 12155. Rod's Memorial Service will be held this Spring, at The United Methodist Church at Cooperstown Junction. MIDDLEFIELD, NEW YORK - A Memorial Service for Rodney E. Johnson will be offered at 1 p.m. on Saturday, August 9, 2014, at the United Methodist Church at Cooperstown Junction, New York, with the Rev'd Dr. Charles J. Curley officiating. The friendship between the Curley and Johnson families goes back to their mutual time of ministry in Davenport, New York. The Service of Committal and Burial will be at 1 p.m. on Sunday, August 10, 2014, in the Ira Union Cemetery on White Cemetery Road in Bowens Corners, New York. MIDDLEFIELD - Douglas John Olmstead, 88, of Middlefield, went to be with the Lord Friday afternoon, February 14, 2014. He was born December 13, 1925, at The Thanksgiving Hospital in Cooperstown, a son of George Abram Olmstead, Sr. and Zula M. Butler Olmstead. Raised in Toddsville, he graduated from Cooperstown High School with the Class of 1943. During his high school years he was employed as an assistant shoe repairman by Angelo Pugliese at his shop on Main Street in Cooperstown. On April 24, 1944, Doug entered into active service in the United States Army and proudly served his country during World War II. A truck driver with Company A 1778 Engineer Construction Battalion, he was stationed in Okinawa as part of the Asiatic Pacific Theatre of Operations. After re-enlisting in 1946 he earned his honorable discharge from the Armed Forces in April of 1949. Upon returning to the Cooperstown area he was employed by the Clark Family, first at their sawmill and later at the Iroquois Meat Market and The Otesaga. On October 14, 1950, Doug married Rose Marie Dziergowski in a ceremony at the Rectory of St. Thomas the Apostle Roman Catholic Church in Cherry Valley. Rose Marie died on July 24, 1972, at the age of 44. Doug then married Esther M. Christiansen on November 17, 1973, at St. Thomas the Apostle Roman Catholic Church in Cherry Valley. After 37 years of marriage, Esther died September 26, 2010. Throughout his life Doug had a talent for wood working and in his later years was self-employed as a cabinet maker. An expert with a divining rod, he was also a local dowser. A devoted member of the Middlefield community, he was a Charter Members of the Middlefield Volunteer Fire Department, and also served on the former Board of Supervisors representing the Town of Middlefield. He was also a life member of the Sgt. Walter P. Eggleston Veterans of Foreign Wars Post No. 7128 in Cooperstown. In his leisure, he enjoyed his love of music and often played the violin. Doug is survived by his two daughters, Karen A. McMahon Gratton and her husband, Rev. Tom A. Gratton, of Schenevus, and children Stephanie Black and her children and Autumn Black Jewell and her daughter, and Kathleen M. Olmstead-Mummert of Locust Grove, Virginia and family; and his son, Keith Douglas Olmstead of Toddsville and family. He is also survived by a sister, Vivian Slater of Skaneateles, two sisters-in-law, Frances Page and Germaine Olmstead; many nieces, nephews and cousins. In addition to his parents he was predeceased by one brother George A. Olmstead, Jr. who died March 4, 1985, and two sons-in-law, Henry Ernest Mummert who died February 25, 1999, and Michael Carter McMahon, who died August 5, 2006. A funeral service will be offered at 3 PM on Thursday, February 20, 2014, at the Connell, Dow & Deysenroth Funeral Home in Cooperstown with Rev. Tom A. Gratton , Doug's son-in-law, officiating. The Service of Committal and Burial with Military Honors will take place later this Spring in St. Mary's Cemetery, Index, where Doug will be laid to rest near his first wife, Rose Marie. Memorial gifts may be made to Middlefield Volunteer Fire Department, 3666 County Highway 35, Middlefield, NY 13450 or the Cooperstown VFW Post No. 7128, 60 Main Street, Cooperstown, NY 13326. BURLINGTON - Robert M. Winsor, a proud US Veteran, family man and outdoorsman, died unexpectedly Wednesday evening, February 5, 2014 at Bassett Medical Center in Cooperstown. A resident of the Town of Burlington, he was 63. Born October 6, 1950, in Cooperstown, Bob was a son of the late Elbert Sexton Winsor and Aletta Fleda Mahan. In his youth he attended school in Cooperstown. Then during his high school years he moved to Virginia and graduated in 1970 from J. E. B. Stuart High School in Falls Church. After graduating from high school he enlisted in the United States Army. For the next seven years served his country during which time he was stationed at Fort Sill in Oklahoma and had one tour of duty in Vietnam. Upon receiving his honorable discharge from the military, Bob returned to his native Cooperstown and was employed at the Mary Imogene Bassett Hospital. He continued working for Bassett and for the past seventeen years was in the housekeeping department at Bassett's clinic in Herkimer. Throughout his life Bob was an avid outdoorsman and enjoyed deer hunting and fishing. He was also a fan of NASCAR (Tony Stewart was his favorite driver) and he enjoyed riding his Harley-Davidson Sportster 1200. Most of all Bob enjoyed family gatherings, especially when there was a bonfire (the bigger, the better!). Bob is survived by his wife of eighteen years, Linda, whom he married on November 25, 1995, in a ceremony at the First Baptist Church of Burlington. He is further survived by his daughter, Rebecca Floyd and her husband Marc of Oviedo, Florida; two step-children, Kevin Rous and his wife Kim of West Burlington and Kristie Willix and her husband Marty of Victor; seven grandchildren, Darby Floyd, Justin, Jason and Jordan Rous, George Willix, and Max and Marissa Willix; one great grandchild, Jaiden Rous; his mother-in-law, Wanda Tiffany, and a sister-in-law, Barbara Murphy, both of Burlington Flats; and aunts, uncles and cousins, including a special aunt, Barbara Warner, of Apopka, FL. Bob will be greatly missed by his canine friends, Sammy, Lucy and Ricky. In addition to his parents, Bob was preceded in death by his brother, Stephen E. Winsor, and a granddaughter, Erika Rous. Later this Spring family and friends will be invited to a graveside service in the Hartwick Seminary Cemetery. The Rev. Barry Davis, pastor of the First Baptist Church of Burlington will officiate and military honors will be accorded. In lieu of flowers Bob's family respectfully requests that memorial donations be made to the Edmeston Emergency Squad, P.O. Box 111, Edmeston, NY 13335, or the American Heart Association-Heart Gifts Processing Center, P.O. Box 3049, Syracuse, NY 13220-3049, or to assist Veterans, the Stratton VA Medical Center, 113 Holland Avenue, Albany, NY 12208. BURLINGTON - A graveside service for Robert M. Winsor, a proud US Veteran, family man and outdoorsman, will be offered at 11 a.m. on Saturday, May 3, 2014, in the Hartwick Seminary Cemetery, with the Rev. Barry Davis, pastor of the First Baptist Church of Burlington, officiating. Military Honors will be accorded by members of the Cooperstown Veterans Club and the New York State Military Forces Honor Guard. COOPERSTOWN - Dorothy S. Wood, 90, passed away early Tuesday morning, February 4, 2014, at her home, surrounded by her loving family. She was born July 21, 1923 in Westmoreland, the daughter of the late Ray and Villa (Carr) Stoddard. When Dorothy was 11 years old her mother died and Dorothy was raised in the Gilbertsville area by her beloved grandmother, Carrie Stoddard. A graduate of the Gilbertsville Central School, she later graduated from the Utica School of Commerce. During the war years she worked as a secretary in the Oneonta area, including serving as office manager for several physicians. On August 20, 1946 Dorothy married Robert Wood in a ceremony in Maple Grove, near Gilbertsville. They moved to Cooperstown in 1957 where they raised their five children. 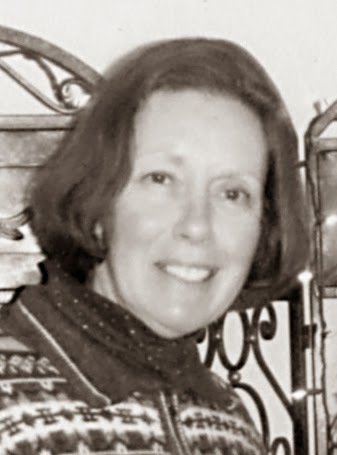 She was active in the early years of organizing the Association for Retarded Children in Otsego County, and served on the Board of Directors for many years. The recognition of, the respect for, and the assistance for all persons with mental challenges were causes always close to her heart. Dot and Bob and their daughter, Mary Anne, spent many happy retirement years enjoying trips around the country in their camper. She was a gardener (and enjoyed even pulling weeds), an avid reader (psychological mysteries, political biographies and tales of early explorers were her favorites), and was an experimental cook (mixed results -- the "curry-con-carne" is a family legendary disaster tale). A long-time member of the First Presbyterian Church of Cooperstown, Dot was a Sunday School teacher for many years and also served as a Deacon. She also served as a volunteer at Bassett Hospital and The Meadows. Dorothy is survived by her son and daughter-in-law, William and Marie-Christine Wood of Eugene, Oregon; her daughter and son-in-law, Barbara and Timothy Gill of Cooperstown; her daughter Betsy Morris of Cooperstown; and her daughter Sarah Wood of Trumansburg. Dorothy also leaves her beloved grandchildren, Kyle Morris, Rebecca Gill, Jessica Gill, Daniel Wood, Michael Wood, Guang Hua Wood and Yiyun Wood. She is also survived by several nieces and nephews. Dorothy was predeceased by her husband Robert in 1996, by their daughter, Mary Anne in 1999, as well as by her two brothers, Allan and Sheldon Stoddard. A funeral service to the Glory of God in Thanksgiving for the life of Dorothy S. Wood will be offered at 11 AM on Monday, February 17, 2014 in the Sanctuary of the First Presbyterian Church of Cooperstown with the Rev. Elsie Armstrong Rhodes, pastor, officiating. The service will be followed by a light luncheon in the Chapel. The Service of Committal and Burial will be held later this Spring in the Fly Creek Valley Cemetery, Fly Creek. At the request of the family, there will be no calling hours. In lieu of flowers, to honor Dorothy's commitment to the Arc, the family requests memorial gifts be directed to Arc Otsego, P. O. Box 490, Oneonta, NY 13820. COOPERSTOWN - A Service of Committal and Burial for Dorothy S. Wood, 90, who passed away February 4, 2014, will be held at 2 p.m. Friday, May 23, 2014, at Fly Creek Valley Cemetery in Fly Creek with the Rev. Elsie A. Rhodes, pastor of The First Presbyterian Church of Cooperstown, officiating. COOPERSTOWN - Stewart L. Fink, Jr., a life-long resident, died following a long and courageous battle with cancer Tuesday evening, February 4, 2014, at his home surrounded by his loving family. Born March 20, 1943, at Bassett Hospital in Cooperstown, Stew was the son of the late Stewart L. Fink, Sr. and Helen Irene Bridger Fink. On December 19, 1964, he married his high school sweetheart Suzanne C. Bennett at St. Mary's Roman Catholic Church in Cooperstown. A 1962 graduate of Cooperstown High School, Stew always loved Cooperstown, and would often state, "There's no place more beautiful". The most important part of Stew's life was his family and enjoying the simple things in life. Stew's love and devotion for each and every family member made him who he was, and this loving Husband, Father and Papa, will be deeply missed. Stew is survived by Sue, his bride of almost 50 years; their three children and spouses, Wendy and Terry Onyan, Kelly and Bruce Banner, and Michael and Lori Fink all of Cooperstown; his grandchildren, Zachary Crippen, Whitney and Jesse Fink all of Cooperstown, and Joshua Onyan, and his daughters, Gillian and Addison of Arizona. He is further survived by his "brother" Walter "Wicky" Bennett and wife Darlene of Cooperstown; two sisters-in-law, Barbara Dillon and Tina Costa and a special Uncle Milton "Milty" Hart. Friends may call to pay their respects at the Connell, Dow & Deysenroth Funeral Home in Cooperstown on Monday, February 10, 2014, from 5-7 p.m., when Stew's family will be in attendance. A Mass of Christian Burial will be offered at 11 a.m. on Tuesday, February 11, 2014, at St. Mary's "Our Lady of the Lake" Roman Catholic Church in Cooperstown, with Fr. John P. Rosson, pastor, officiating. For those who wish to remember Stew with a memorial gift, his family kindly suggests that donations be made to the Cooperstown Emergency Squad, P.O. Box 322, Cooperstown, NY 13326.